While none of the pieces are very good, it’s unfortunate that the album is named after the worst of them. At 15 minutes’ duration, Collider has plenty going on in it, and if you’re willing and/or able to engage with it on a purely superficial level then there’s possibly some enjoyment to be had. But beneath the surface, there’s essentially nothing of any substance to be found. 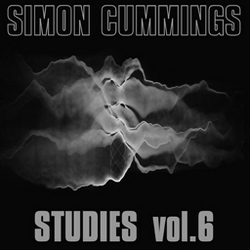 This is, to put it bluntly, painting-by-numbers orchestral writing: a bit of generic brooding here, a bit of scattershot textural mayhem there, unfocused blather that Bjarnason tries to make meaningful through minimalistic outbursts (faux-excitement) and saccharine, filmic lyricism (faux-emotion). Writing music that’s as boringly over-familiar and formulaic as this is bad enough, but what makes it worse is that it all feels so deliberately manipulative. Yawn/yuck. As for the other two works, The Isle Is Full Of Noises is let down by being a work written for a youth choir that sounds like a work written for a youth choir. It’s simplistic, safe, superficial and – again – formulaic, Bjarnason relying on more filmic tropes and clichés that sound ludicrously trivial beside the radical marvel of Shakespeare’s poetry. 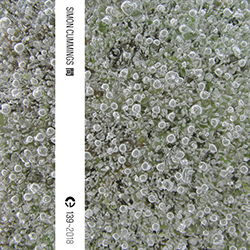 One positive: there’s a very nice transition in the second movement where the music responds to a reference to sleep, clarifying that Bjarnason is at his most interesting when working with nebulous materials. That section works well, but its effectiveness only highlights how much, elsewhere, the orchestral behaviour seems to be arbitrarily at odds with the tone and direction of the words. Another decidedly skin-deep experience, the phrase “insubstantial pageant” appears in its final movement, and it’s a good summary of the work as a whole. The best piece on the album is Blow Bright, in which Bjarnason taps into his inner Thomas Adès (from the Asyla/These Premises Are Alarmed period) as the model for his orchestration. While at times it veers remarkably closely to pastiche, the piece works pretty well on its own terms, and the balance between lyrical clarity and textural obscurity is nicely judged. The filmic elements are present and correct once again, yet here they feel rooted in something with modestly broader aspirations. 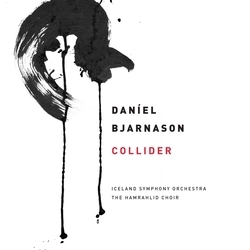 Nonetheless, as an album Collider makes for a limp, dismal and frustratingly cosmetic experience that left me wondering where the courage and imagination of Bjarnason’s earlier work Emergence has gone. Incidentally, if you’re going to explore this album then i’d recommend listening in this order: 1. Blow Bright, 2. Collider, 3. The Isle Is Full Of Noises. It’s a shame they weren’t put in this order as, in hindsight, the three pieces then work as a kind of symphony: a bold opening leading to a broad (but flaccid) slow movement, concluding with a choral finale. It doesn’t solve any of the issues i’ve raised, but i suspect it’ll make for a more engaging overall listening approach. Oh, that’s a pity. ‘Processions’ was really interesting.